After completing her residency at a large urban hospital, Dr. Ellie Sullivan's life is turned upside down when she witnesses the shooting of an FBI agent in pursuit of a ruthless modern day Bonnie-and-Clyde duo known as the Landrys. The only person to see the shooter's face, Ellie is suddenly at the center of a heated criminal investigation . . . an investigation headed by the tantalizingly handsome Agent Max Daniels. In spite of Ellie's indisputable attraction to him, the stoic, no-nonsense Max definitely isn't the ideal man that Ellie has always imagined. She could never picture him in her life, or showing up at her family home in South Carolina, where she's headed to attend her sister's wedding. Max informs her that the Landrys have been captured, and she'll be called to testify. But they've been captured before, and each time the witnesses are scared into silence -- or disappear before they can take the stand. Max vows to be Ellie's shadow until the trial, and it isn't long before sparks -- and bullets -- fly. 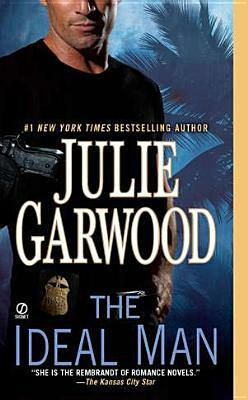 Julie Garwood is a master with words and will have you laughing throughout the book--at least that's what it did to me. Her characters are so REAL (like I could ask my friend and she would say "Yup, that's my family"). She makes me want to have the same personalities of some of her characters. The book not only introduced into the life of a surgeon, but to the implications of family, and life as an adult woman also. The book was really easy to read, I didn't notice how many pages I was turning until 5 HOURS went by and the bathroom was calling out to me. I love that it wasn't just a romance story, but it included the lives of people close to them as well. It also had it's funny moments. What more could you ask for in a book? ?